SEATTLE, WA: Starbucks' decision to close approximately 600 underperforming stores elicited a round of protests from some of its customers, but the company is moving forward with its plans. From YouTube posts to a SaveOurStarbucks.com Web site, lobbying from local officials, and at least one employee protest, many want the stores to stay. Starbucks, however, says the closures are necessary to rein in spending, boost the bottom line, and bring a long view to building up customer satisfaction, which Howard Schultz, the company's founder and CEO, noted in a statement when the closings were announced July 1. "In January, we committed to transforming the company through a series of critical and strategic initiatives to improve the current state of our US business, and build the business for the long term," he said. Bridget Baker, communications programs manager, corporate communications for Starbucks, told PRWeek, via e-mail, that the company was "humbled by the support we've received from our partners (employees) and customers regarding the closure of our stores." Baker noted, though, that the closings are final, pending operational and contractual factors and events. "We see the response from customers as a demonstration of customer loyalty and the emotional connections [they] have with the... brand, Baker said. 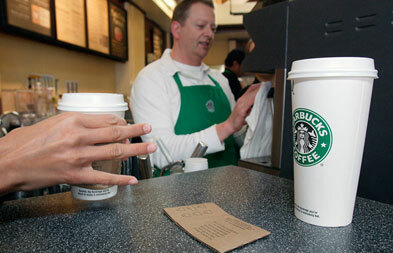 "This validates our long-term opportunity and reiterates that the Starbucks Experience simply cannot be duplicated." Starbucks' earnings reflected its struggle in the current economic climate, with the March 30 second quarter results falling approximately 28% from the year-ago period, while store operating expenses rose. The stock jumped 3% after the closures were announced. "We recognize the impact this announcement has had on the communities where we operate and value the feedback," Baker added. "We are working to address the questions we've received." The SaveOurStarbucks.com site was created by Paul Konrardy, COO of LoudClick.net and a regular customer in Richfield, MN, after the announcement. While Konrardy's local store was not closed, he says his site provides Starbucks' fans with a place to post their opinions about the closings. It also offers links to petitions that were started to save local venues across the US. Konrardy noted that within one 36-hour period, there were about 3,000 page views, and the site got attention from various media, ranging from NPR to FoxNews, though he has not yet heard from the coffee retailer. "I'm pretty gobsmacked by it all," Konrardy said. Starbucks' customers also channeled their concerns to a "Save Starbucks Paris, [TX]" MySpace page, as well as numerous pleas for Starbucks' to reverse its decision on the company's corporate site, MyStarbucksIdea.com. Starbucks works with its AOR Edelman and a number of other agencies focused on specific regions, like Cone in Boston, The Frause Group in Seattle, Airfoil in Detroit, and rbb PR in Coral Gables, FL. Edelman deferred its comment to Starbucks. PR pros noted the attention could give Starbucks a unique opportunity - if handled properly. Carrie von der Sitt, SVP at GolinHarris, said that Starbucks needs to properly leverage buzz so attention doesn't turn sour. "You've got people working as brand advocates and trying to rally behind an institution that's a part of them," von der Sitt said. "It's important you find a way to harness that loyalty [and] demonstrate how much you value their commitment to your brand and how significant their involvement is in the future of the company." With such financial burdens, consumer efforts probably will not have much impact on keeping local stores open, said Andrew Silver, North American consumer practice leader for GCI Group. "Downsizing is a reality of the business... [However], we are in the age of consumer empowerment... Starbucks needs to acknowledge consumer passion for their brand and find an outlet for that passion, while still doing what's right for their business to maintain growth and profitability," Silver added. "That's a hard balance to strike."